I guess I should have expected it. 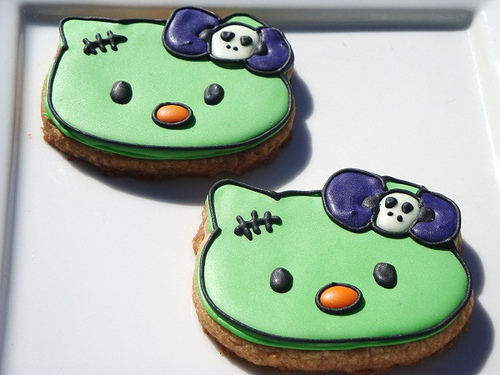 If there are Hello Kitty Halloween cupcakes, was there really any doubt that there would also be Hello Kitty Halloween cookies as well? I wouldn’t eat those, they look like they’re frosted with the same icing they use in the grocery store bakery. If I’m going to eat food in the shape of a cat’s head, I’m going to make my own darnit.